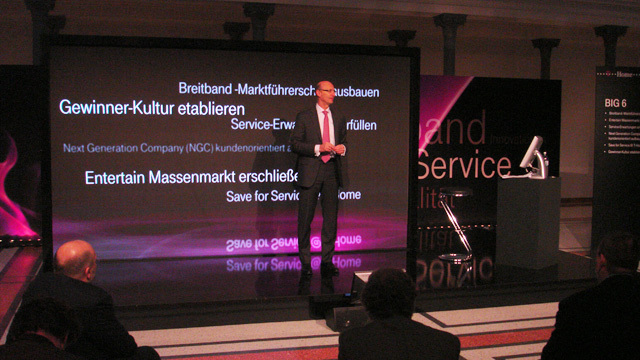 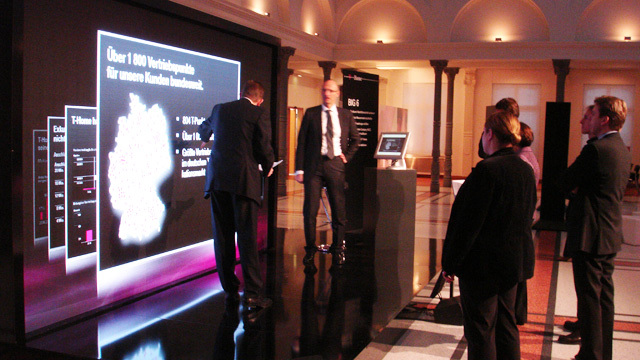 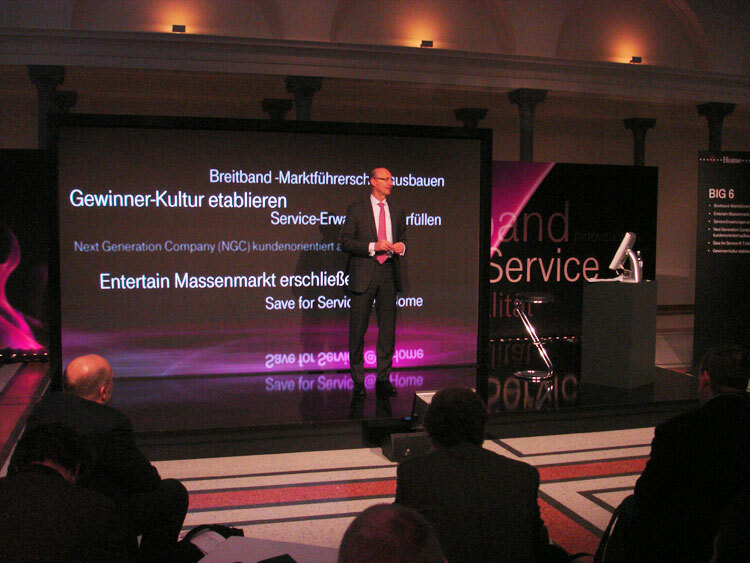 At the international press congress of Telekom AG in Berlin, Telekom presented its strategies for growth using an iWall. 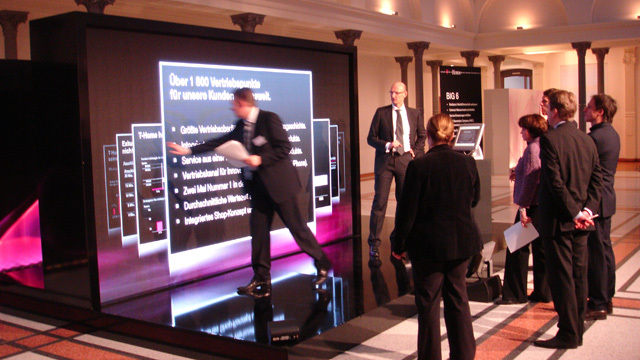 A 4 x 2.40 m LED wall (4MM pixel pitch) became an interactive presentation area: the members of the Telekom board making the presentation navigated intuitively through the different content of the presentation with simple hand movements and thus directed complex subjects for the world's press in a spectacular way. 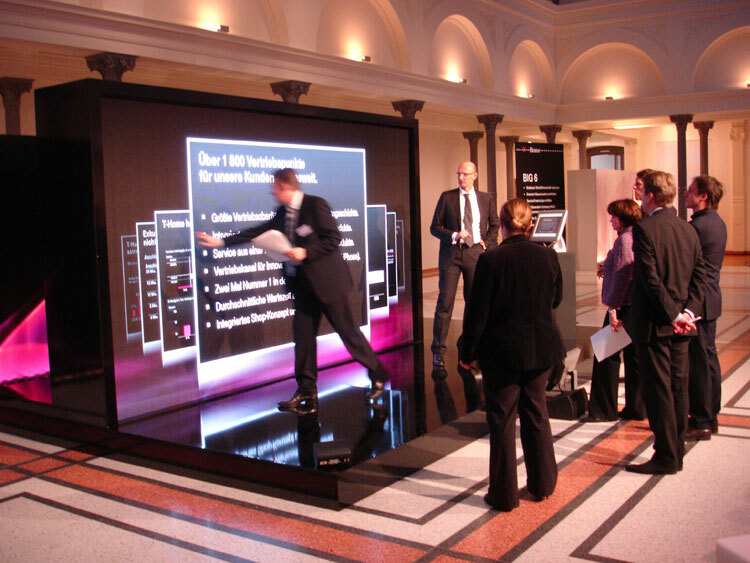 iWalls secure continuous attention for the presenter; speakers can lead their public through their presentation in a simple and focussed manner. 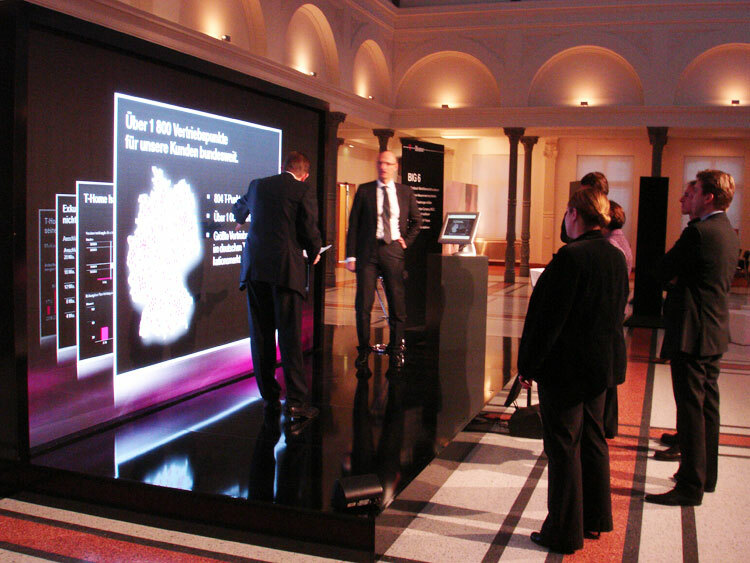 Peyote realized this project in collaboration with the people interactive agency and OFFSPIN.